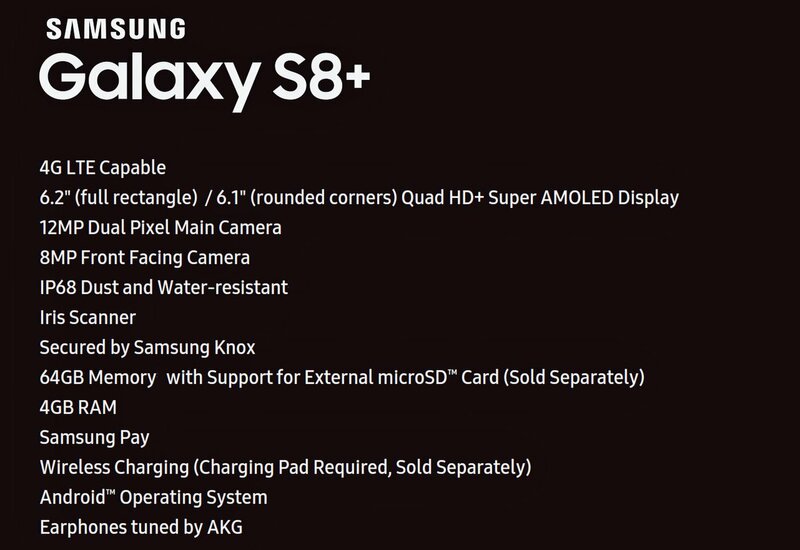 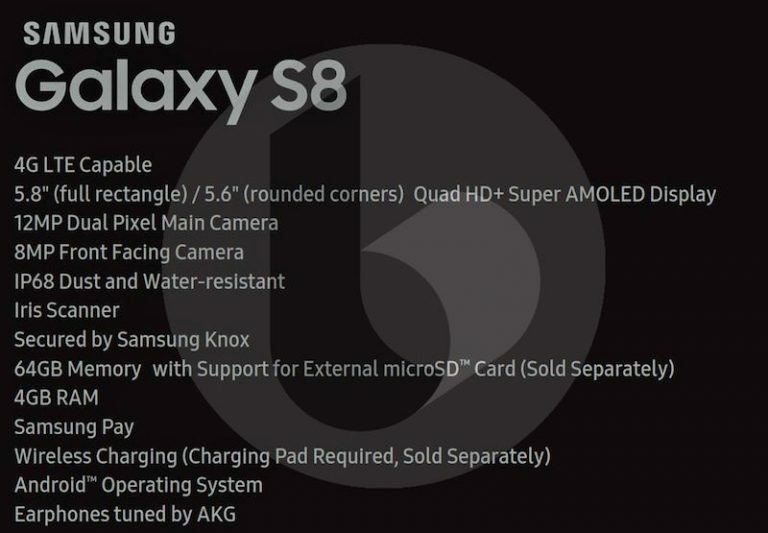 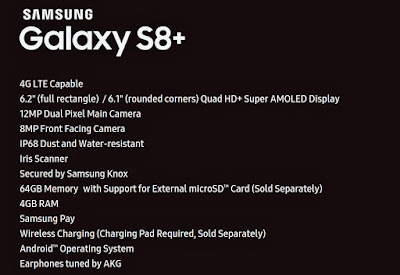 Galaxy S8 and S8 + to come with 12-megapixel dual pixel rear camera, 8-megapixel front-facing camera, IP68 ratings water and dust resistance Powered by Qualcomm Snapdragon 835 / Octa-Core Samsung Exynos 9 Series 8895 processor with 4GB RAM and 64GB of internal storage. 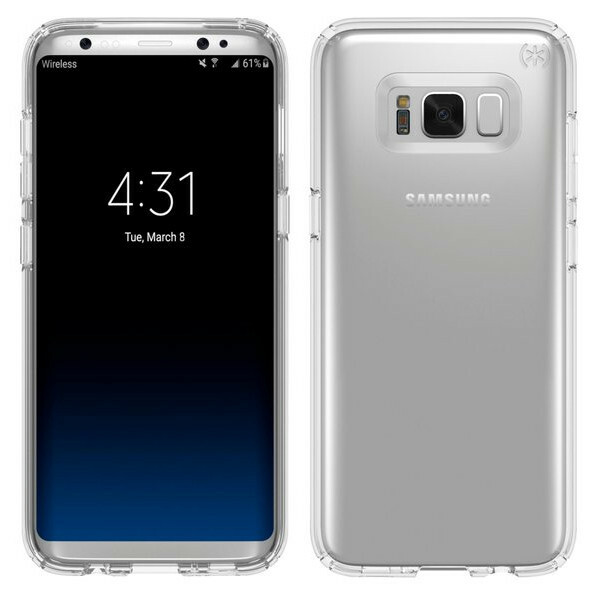 Samsung Galaxy S8 and Galaxy S8+ smartphones to be unveiled on March 29 at an event in New York. The Galaxy S8 with a 5.8-inch display is said to retail for €799 (US$ 850) and the 6.2-inch S8+ is said to cost €899 (US$ 956 ) and both the phones are expected to go on sale on April 21.